How to get there: We started from a camp just below Nåla (part of Skardstind) on the Nordre Illåbreen glacier. See the description under Storgjuvtind to see how to get there. 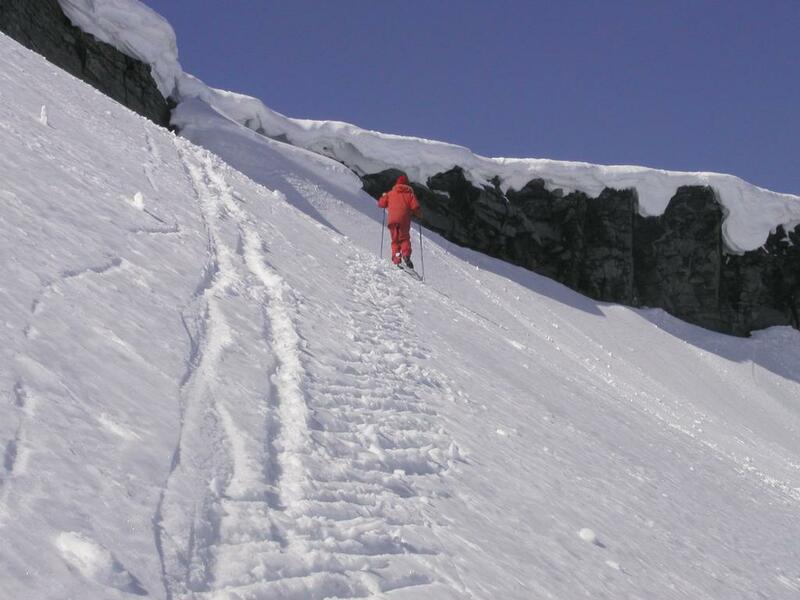 Route description: We skied across the Nordre Illåbre glacier and just left of the steep cliffs of Bukkehøi. Continuing uphill ski to the Øvre Tverråbandet and continue climbing on the upper part of the Tverråbreen glacier. Crevasses may be present in this area already in May, be cautious. There are steep cliffs at the upper end of the Tverråbreen glacier, but at least in one spot the snow extends almost to the top. Either leave the skies just below the final section or carry them along. The final climb is easy and little more than a single big step. However, the precise conditions are likely to depend on the snow conditions. There was also a considerable crevasse "hole" just next to the route, this could easily expand and make the rute quite a bit more dangerous and difficult. Once abve the cliff band, the rest of the route is a very flat uphill terminating at the summit. An alternate route is to climb this mountain more directly from the road at Geitsætri. This route avoids the glaciers and should be straightforward. 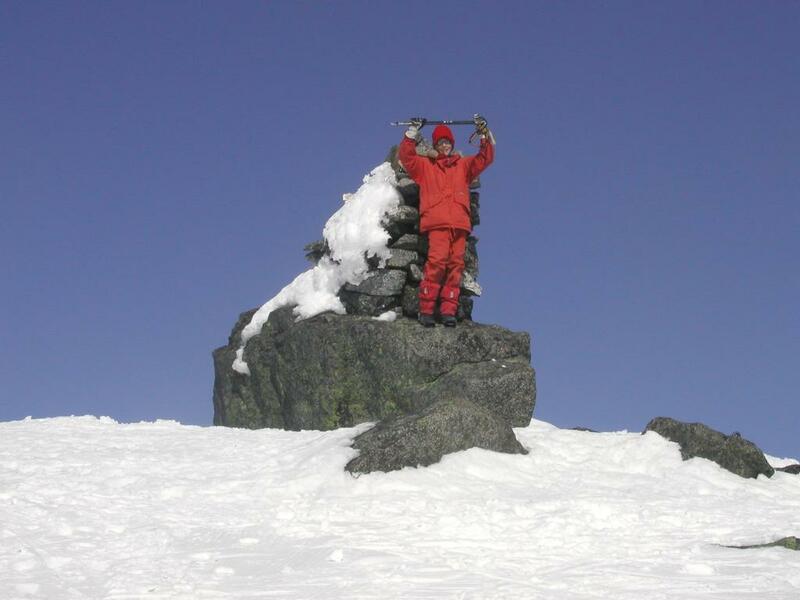 Comments: I did this climb with my son Pål Jørgen, age 13 and my friend Arnt. The return skiing was fun and brought us back to camp in a few minutes. Pål Jørgen skiing up the final steep slope to the "weak point" in the cliff band.